Yesterday, Ranveer Singh arrived at the airport to catch a flight to Dubai. We might sound biased towards our forever man-crush-Monday but the Bollywood actor looked mighty fine. Although, he undeniably IS the most stylish man in B-town, so you know we're not lying. 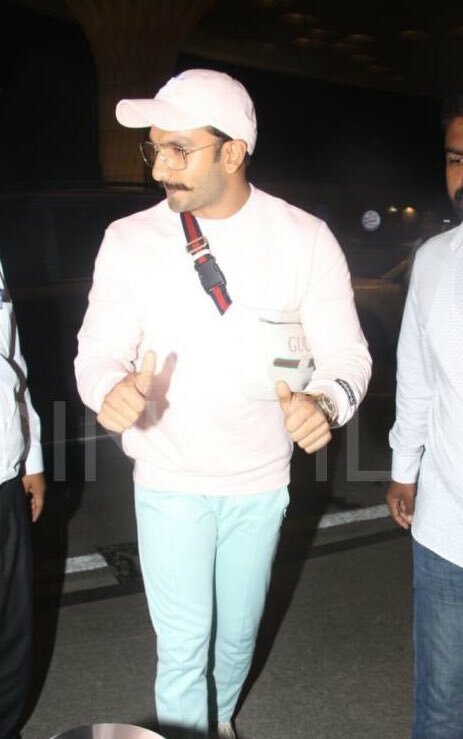 Ranveer was rocking a baby pink sweatshirt with neon blue slim fit pants, which he paired with a white baseball cap and white trainers. He was also working a very cool pair of retro glasses. Love. Love. Love. More than all of the above, however, we're impressed with his Gucci bag and how he styled it. If you look at the bag, it's clear that it is a bum bag AKA a fanny pack. The popular Gucci piece looked way cooler worn like a crossbody than it would have around the waist. 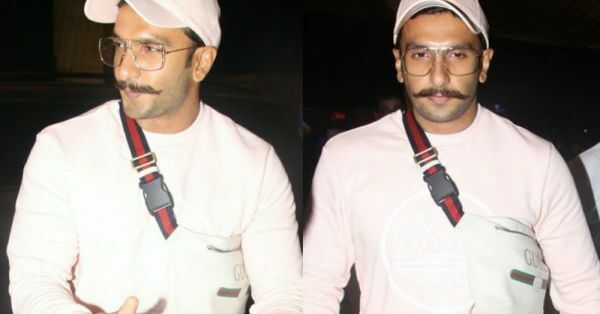 In case you were unaware, a fanny pack has the power to turn a delish man like Ranveer Singh into an 80s dad. 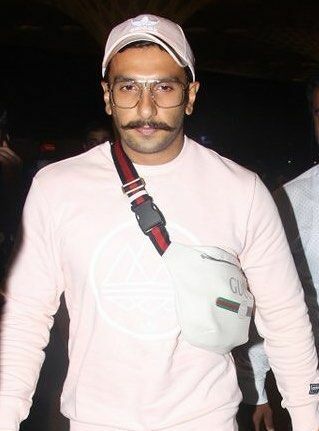 Ranveer's airport accessory is the reason why will consider buying bum bags, finally. And you can bet we'll never ever wear it any other way. Ever. Ladies, if you wanna wear a fanny pack, wear it like a crossbody bag. Thanks for not letting us down, Baba.